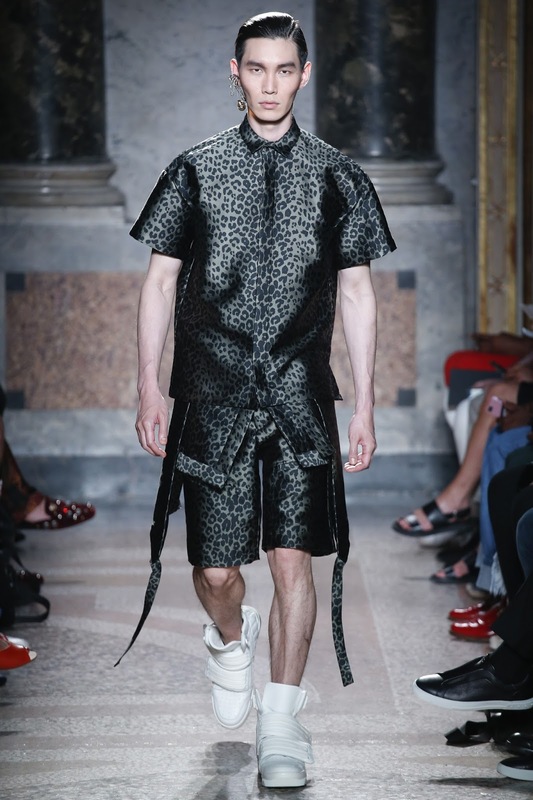 Les Hommes designers duo Tom Notte and Bart Vandebosch mixed Asian influences in their usual polish underworld aesthetics. 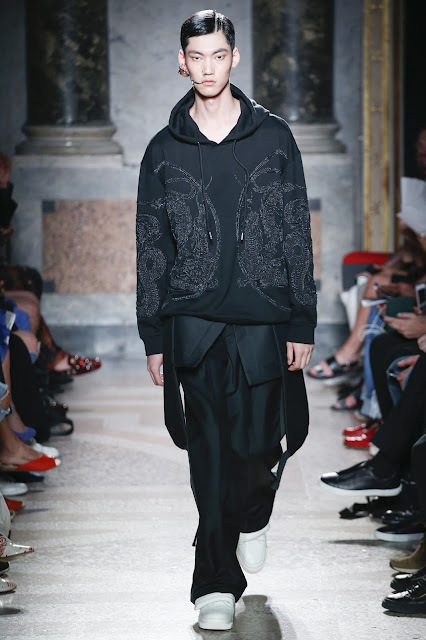 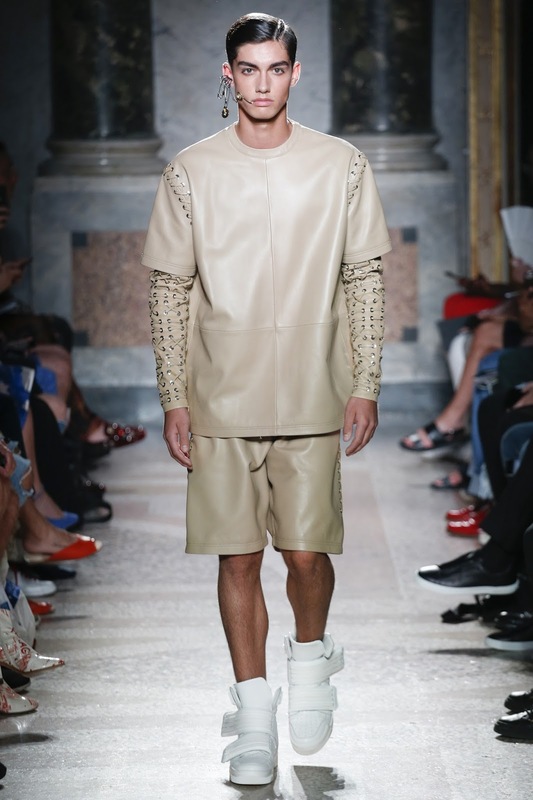 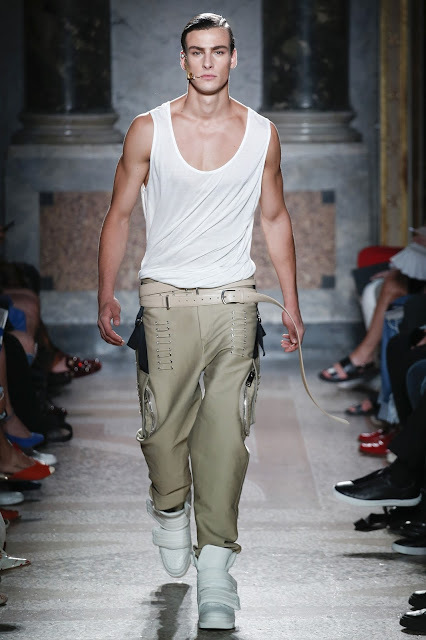 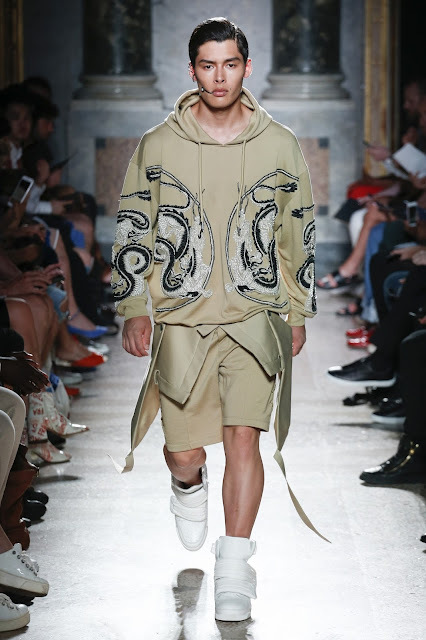 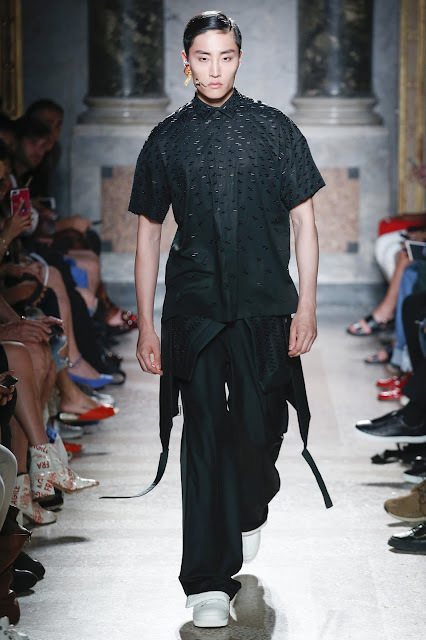 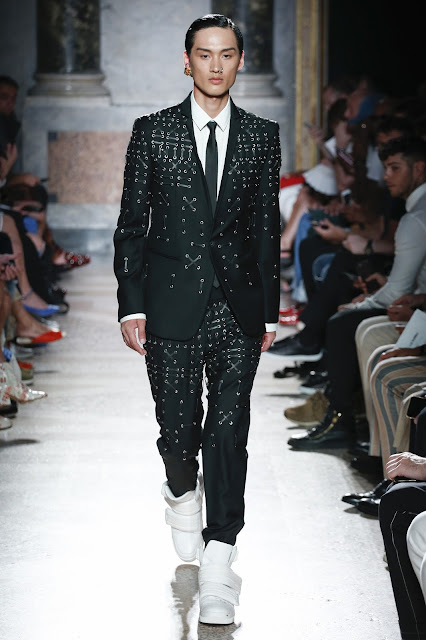 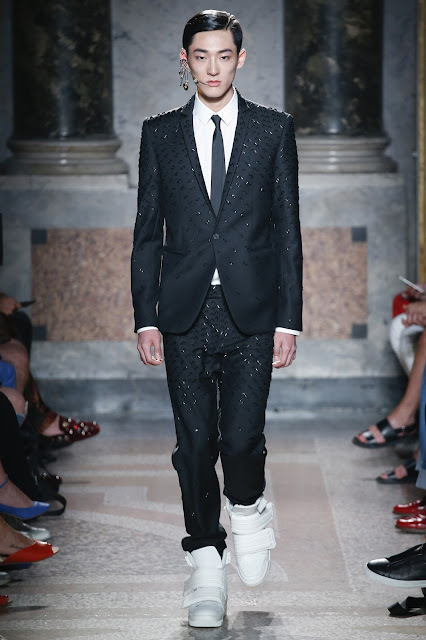 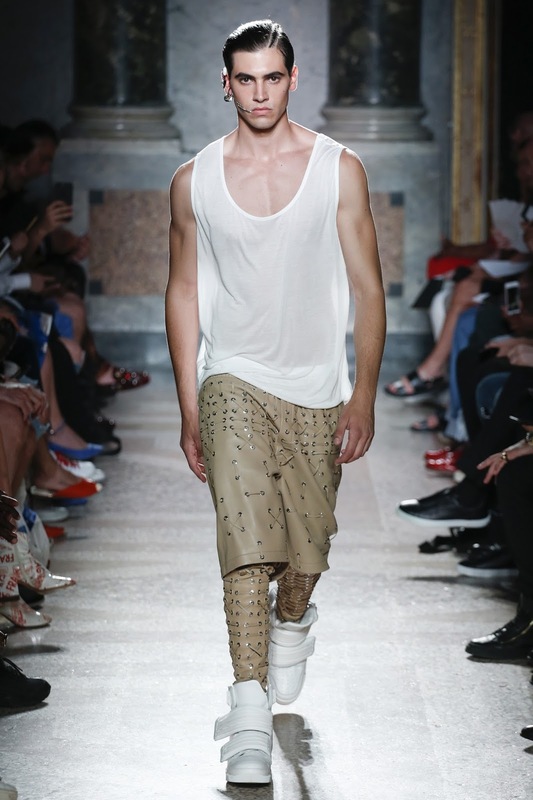 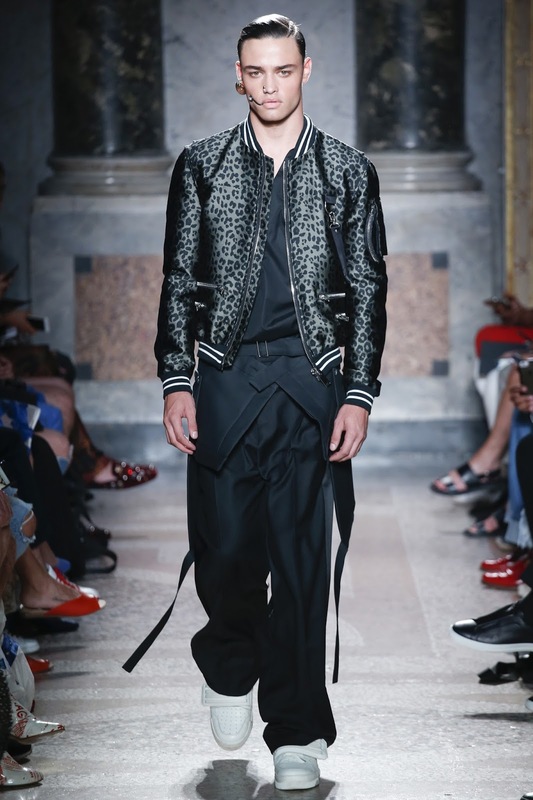 The hyper-masculinity of the collection was enhanced by muscular casting which became rare this season in Milan. 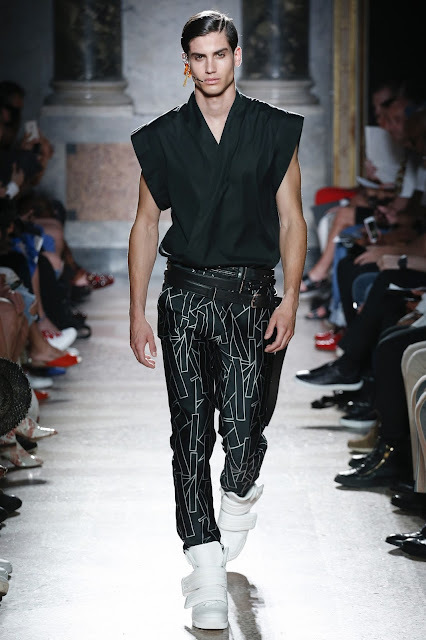 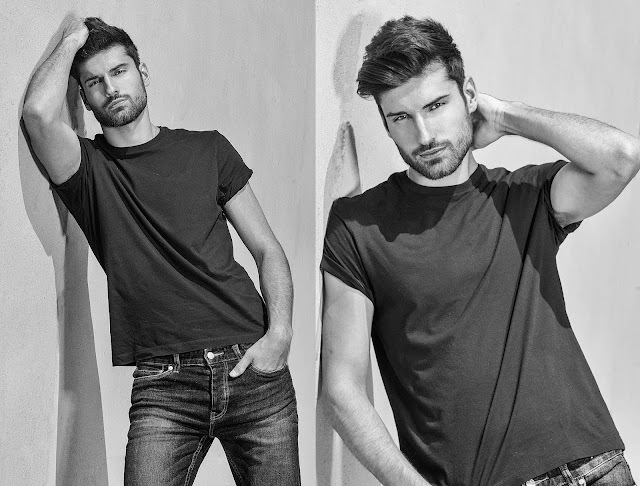 Side note: I don't know why Menswear Milan fashion week that is known for casting manly models is all of sudden littered by skinny pre-adolescent looking models.